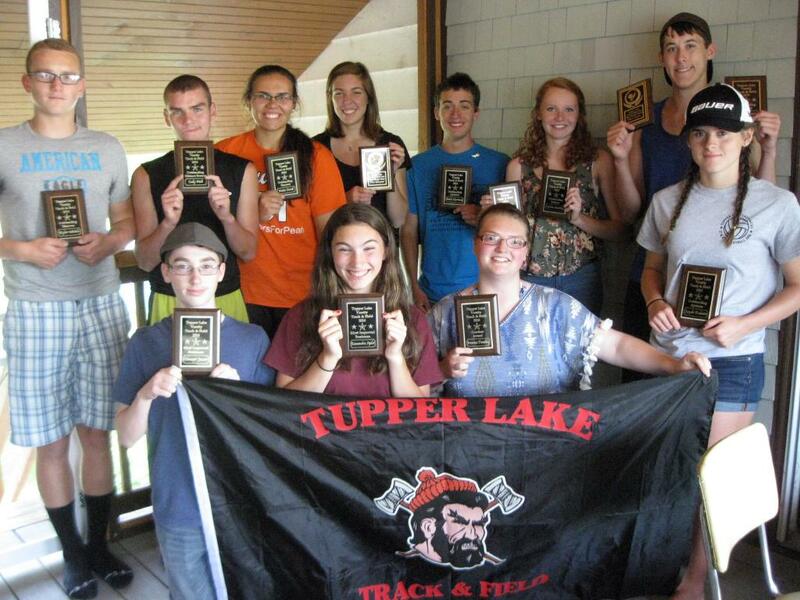 Back Row: Kyler teRiele (best male thrower), Cody Pioli (best male distance runner), Katie Zurek (best female thrower), Tess Klossner (female MVP), Mitch Harriman (best male sprinter), Sophia Martin (best female distance runner and best female jumper), Alan Stuart (male MVP and best male jumper). Front Row: Connor Jessie (male most improved freshman), Kassandra Sipler (female most improved freshman), Breanna Trombley (Coaches’ Award for dedication and sacrifice…girls team), Jayde Dukette (best female sprinter). Missing this evening: Matthew Whitmore (Coaches’ award for dedication and sacrifice…boys team).